BINUS INTERNATIONAL has a clear focus of becoming a world-class university and to achieve this, there must be comprehensive planning, including making the right development strategies and implementing them. One of these strategies is BINUS INTERNATIONAL and Solbridge International School of Business’ School Visit event on February 25. Solbridge is part of Woosong University, acting as the spearhead of the institution’s internationalization development strategy. Solbridge has a focus of developing international-caliber universities. 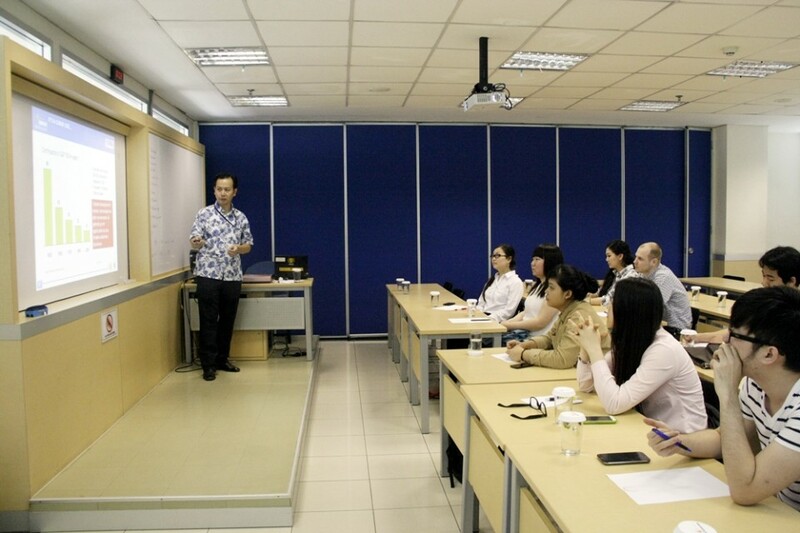 In the event, a lecturer from BINUS INTERNATIONAL, Gerald Ariff, B.Eng (Hons) (KCL), M.Sc. (Surrey) presented the materials on Design Thinking Production and shared information on doing business in Indonesia, including the political system, economy, and the technology Indonesia is currently using and exploring. Together with the students of BINUS INTERNATIONAL, nine students from the Korean university enthusiastically attended the event.